The first! The best! The only! You'll find a lot of these distinctions right here in Balboa Park. We are in America's Finest City, after all. 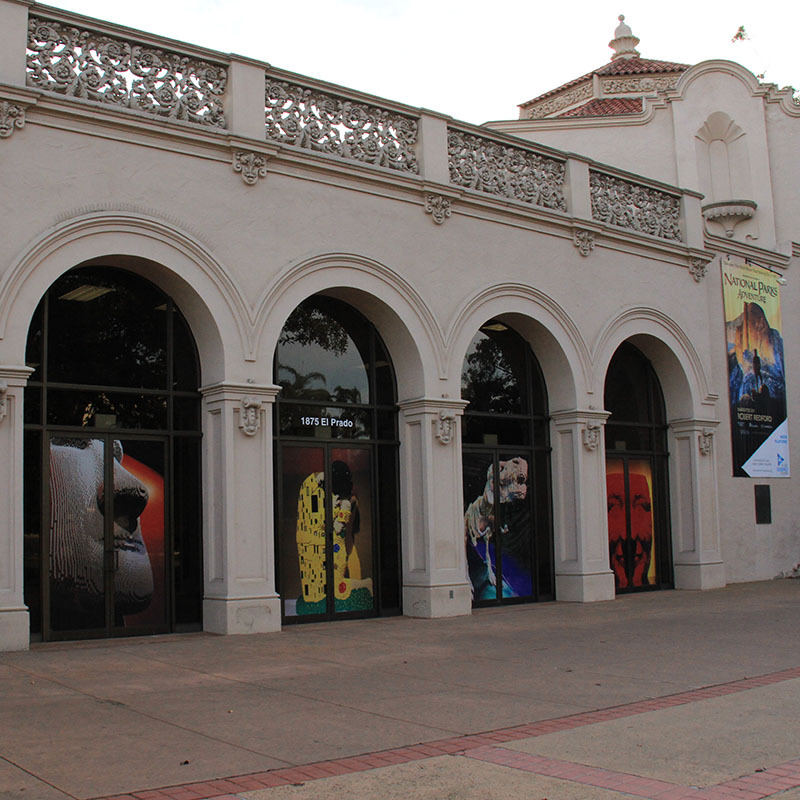 Join us on a tour of all that makes Balboa Park unique. 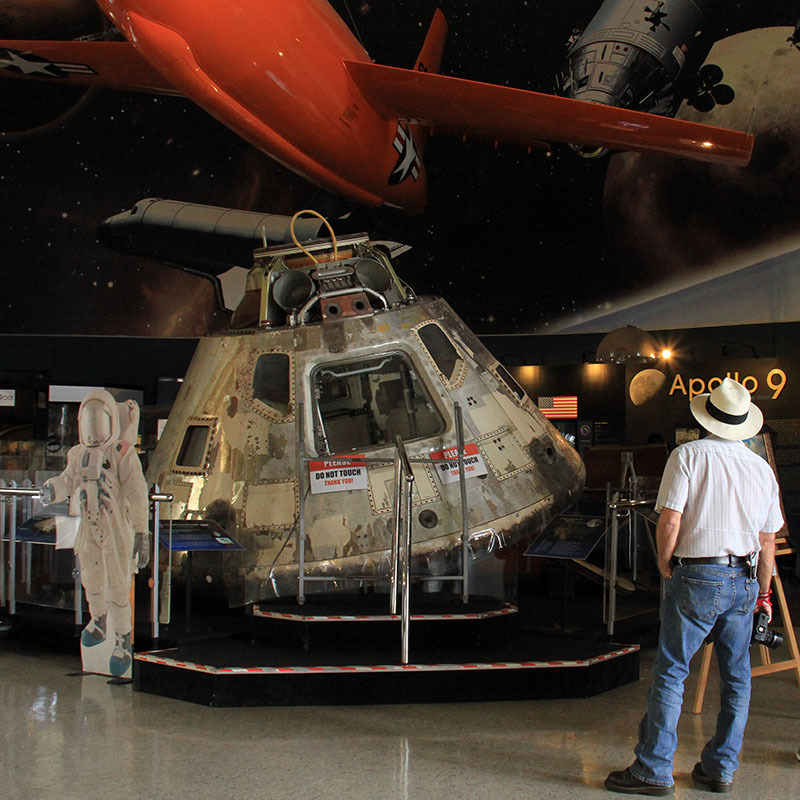 Start your day at the San Diego Air and Space Museum, home to the second largest aerospace library in the country, after the Smithsonian. The Museum also boasts the only privately held low-speed aeronautical wind tunnel in the U.S.--the former General Dynamics Low Speed Wind Tunnel at Lindbergh Field. San Diegans take pride in the Spreckels Organ. It was the largest outdoor pipe organ in the world until a bigger organ, the Heroes Organ in Austria, was built and took the title. 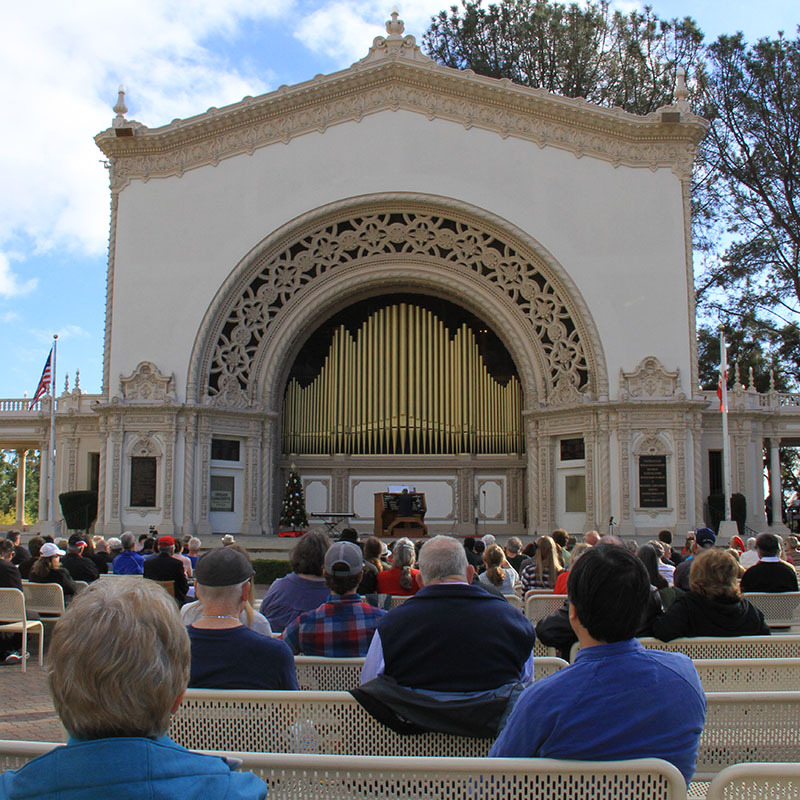 In 2015, the community donated funds to add more pipes, and put the Spreckels Organ back on top. Check out the California Tower, the focal-point of the California Building. 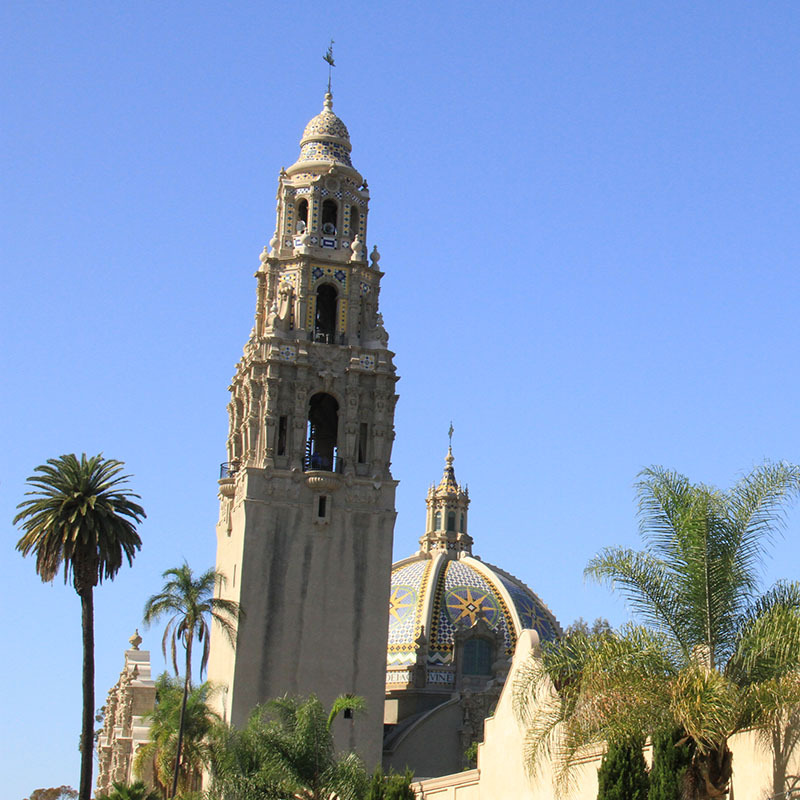 Constructed for the 1915 Panama-California Exposition, the building is the most frequently-mentioned San Diego structure in studies of American architecture. Like Rembrandt? El Greco? Giorgione? 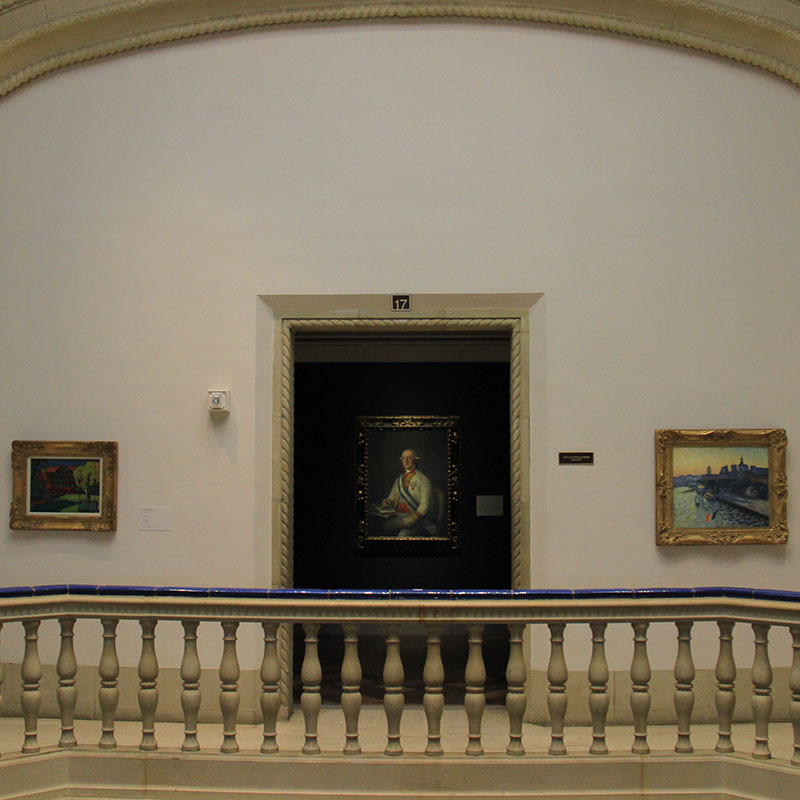 For a time after World War II, the San Diego Museum of Art (then called San Diego’s Fine Arts Gallery) was the largest holder of Old Masters paintings west of the Mississippi. Take time to stop and smell the flowers at the Balboa Park Botanical Building, one of the only botanical buildings in the world without glass. 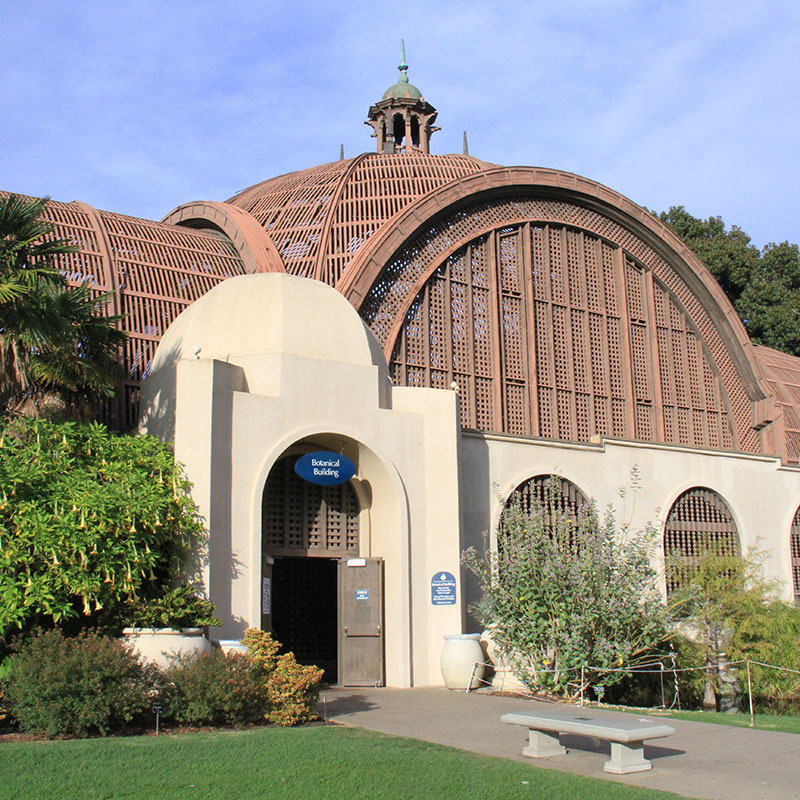 More than twelve miles of wood lath cover the building, making it one of the largest lath structures in the world. 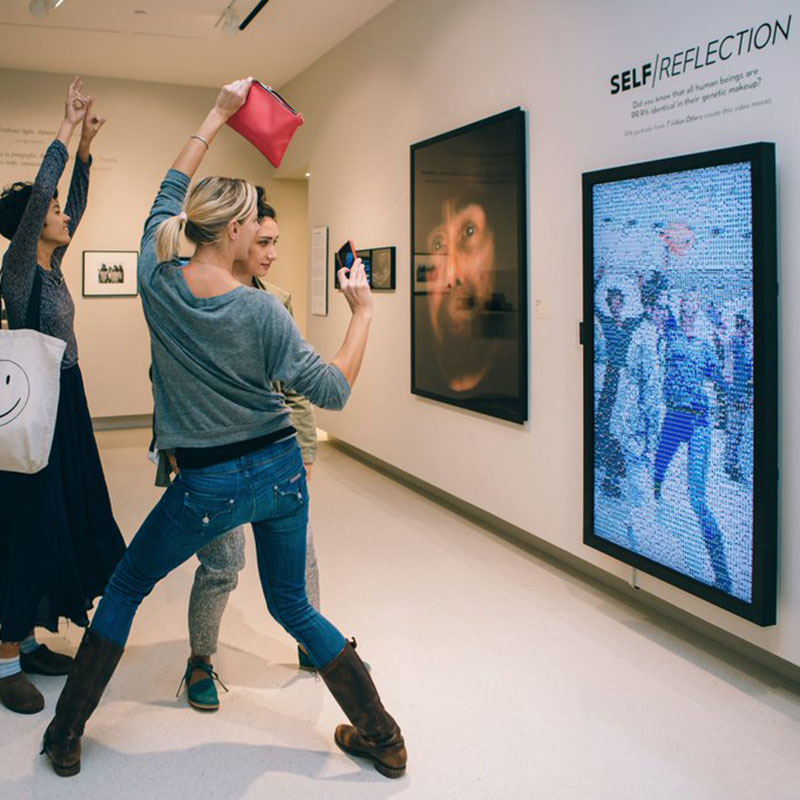 Get camera-ready for the Museum of Photographic Arts, one of the first museums in the U.S. to collect and present photographic art, spanning the history of photography from the 19th century to the present day. Just downstairs you'll find the largest accredited model railroad museum in North America. 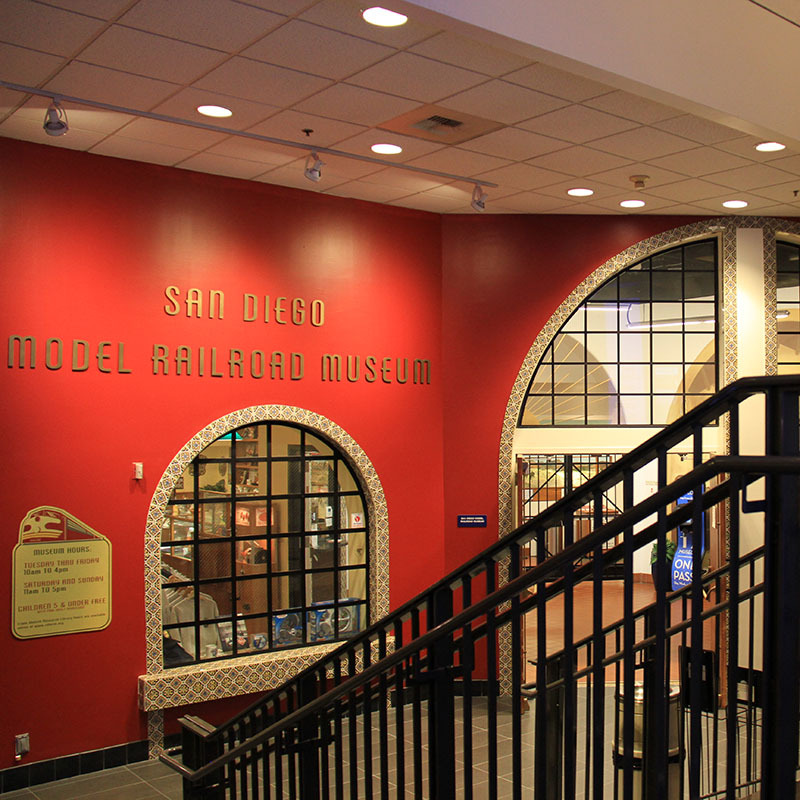 The San Diego Model Railroad Museum displays over 27,000 sq.ft. of model railroad layouts portraying San Diego and surrounding areas. 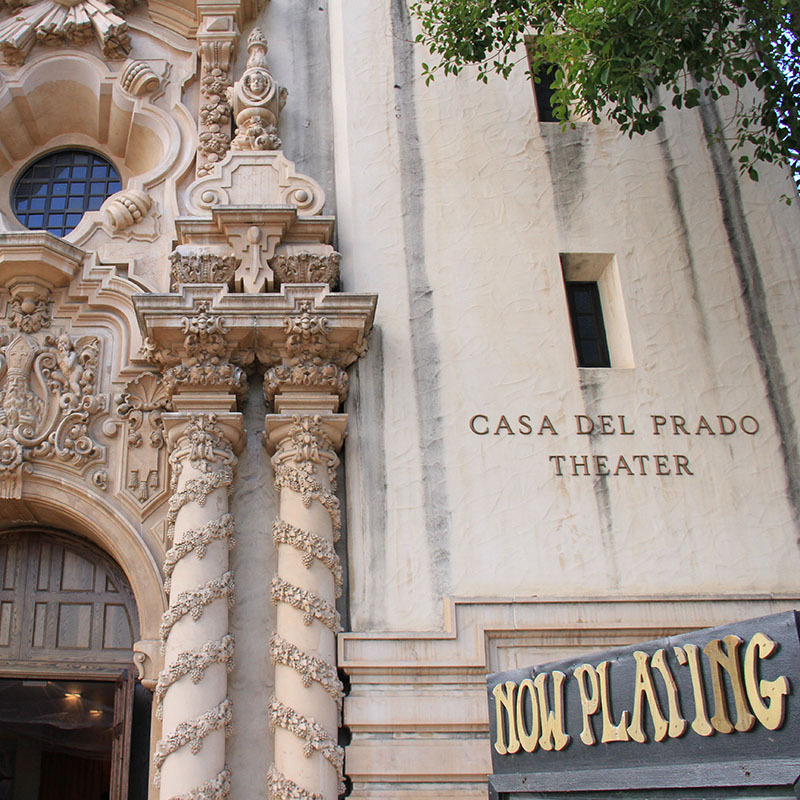 Take in a show by the San Diego Junior Theatre, the country’s oldest, continuing children’s theatre program. The program has been running since 1948 and its alumni include stars such as Dennis Hopper and Raquel Welch. Seen any good IMAX movies lately? The Fleet Science Center houses the world’s first IMAX Dome Theater! It opened in 1973 and its unique layout makes you feel as though you are in the movie. 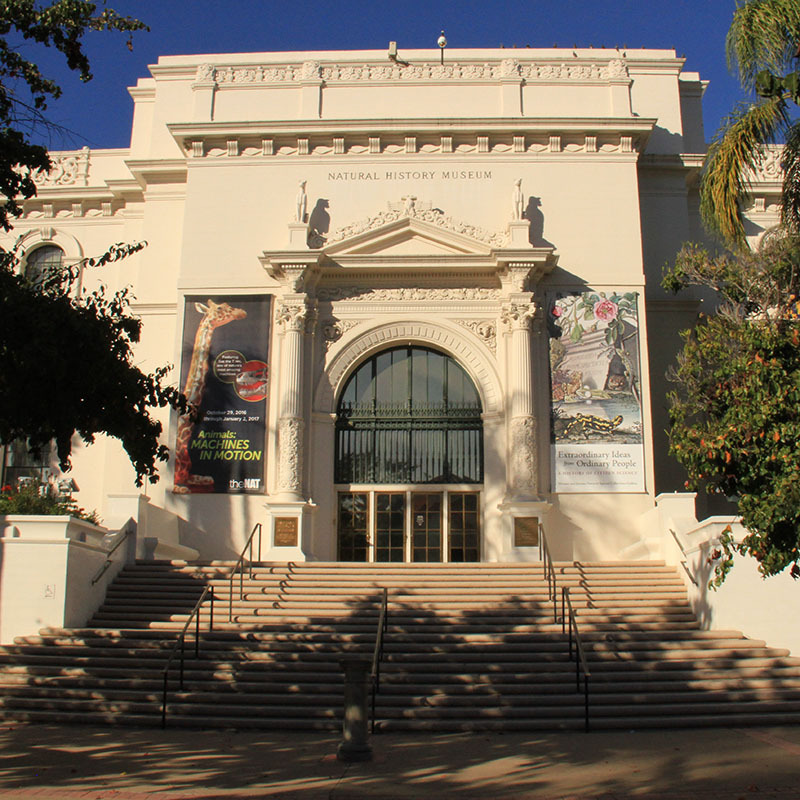 Cross the plaza and visit the San Diego Natural History Museum, the oldest scientific institution in southern California, and the third oldest this side of the Mississippi River. 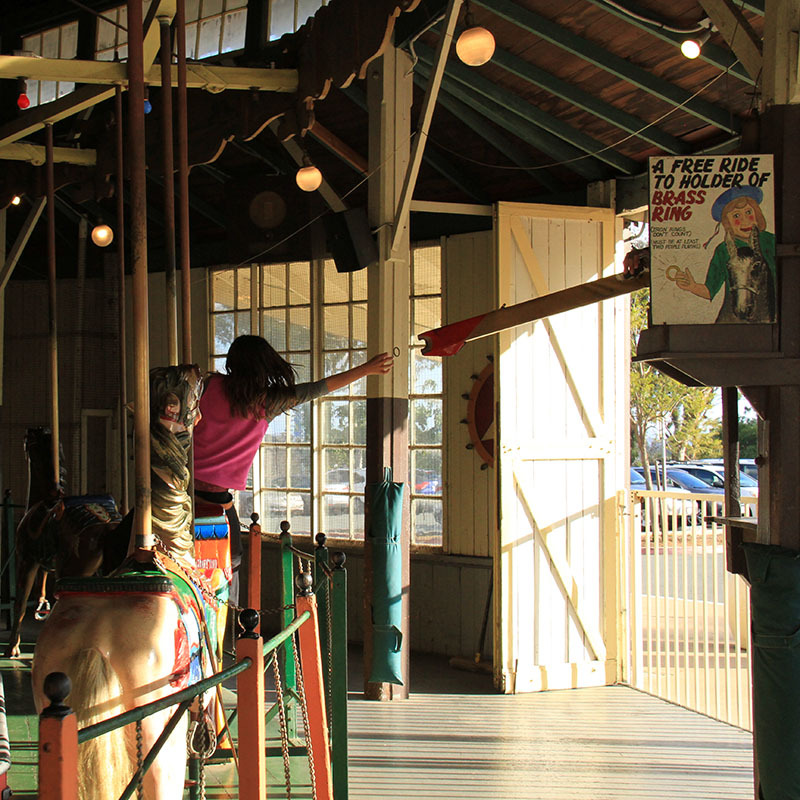 End your tour at the Balboa Park Carousel, one of a handful of carousels left in the U.S. that lets riders take part in the traditional competition to catch a brass ring as the carousel turns. Can you catch the ring? We hope you enjoyed your day and learned something about all that makes Balboa Park a special place. Come back soon start making some of your own first, best, and only experiences in the Park!